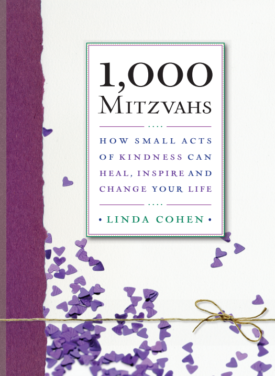 1,000 Mitzvahs: How Small Acts of Kindness Can Heal, Inspire and Change Your Life shares Cohen’s two-and-a-half year journey from sorrow to inspiration through simple daily acts of kindness. She presents each mitzvah as a short vignette and the myriad forms they take – from helping the elderly to donating to good causes to baking and collecting food for others – highlight the many ways in which one person can touch the lives of others. As she pursues her quest, Cohen finds that her life is improved by these small acts – that every time she goes out of her way to do something good for someone else, she enhances her own well-being.